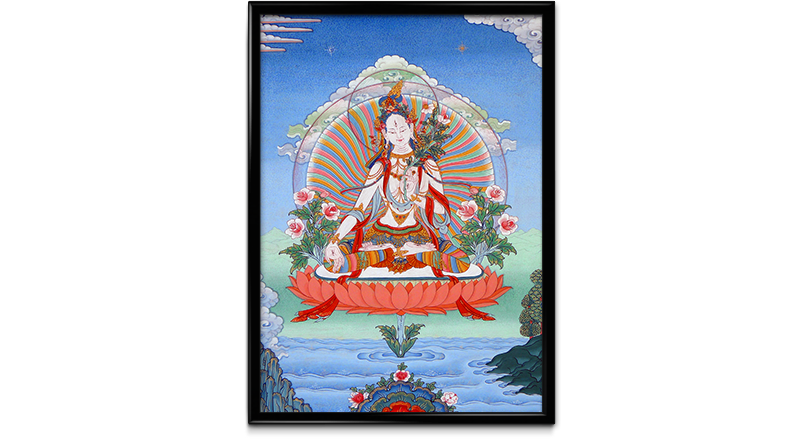 White Tara is known as the Mother of Liberation and is associated with the qualities of compassion, longevity, and healing. Her special attributes are her seven eyes, in addition to the usual two she has and the third eye on her forehead and one on each of her hands and feet. These represent her ability to see the suffering of beings in every realm of existence with clarity, wisdom and compassion. Her white color represents purity, wisdom and truth. Her hands are in the same pose as Green Tara, the wish-fulfilling mudra and Refuge. 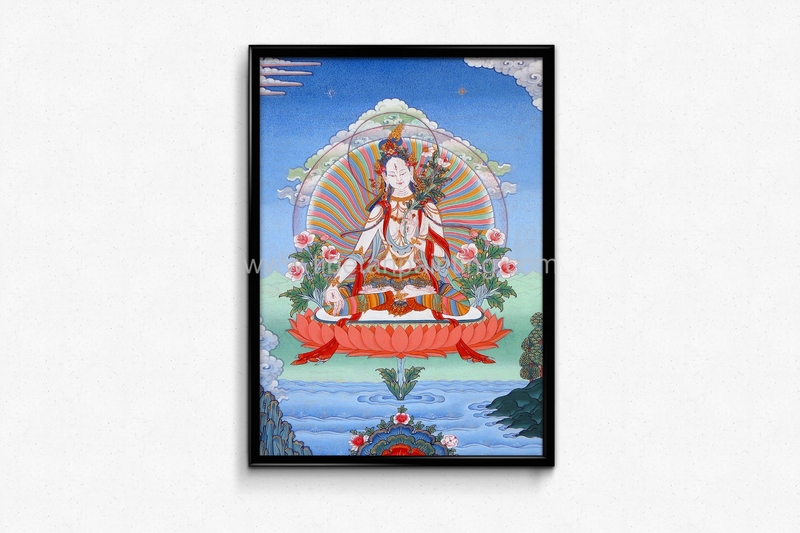 She holds three lotus blooms in her left hand which represent the Buddhas of past, present and future, and that Tara is the mother of all the Buddhas.